Permanently! 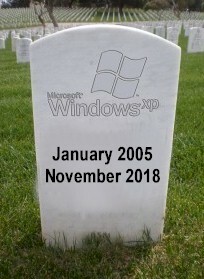 It was a sad day, and it was a great computer. It just ran too slow… slowly? Slow. Aw heck let’s face it! That thing was a boat anchor! It was way past time to put this thing out of its misery… wait… MY misery! We use proven Search Engine Marketing (SEM) techniques, causing your phone to ring! SEM + Videos = Sales! Ralph Peterson is a graduate from University of Saint Thomas, School of Business Mini-MBA (Small Business Administration/Management) Over 30 years of combined experience in Video Marketing & Website Development.